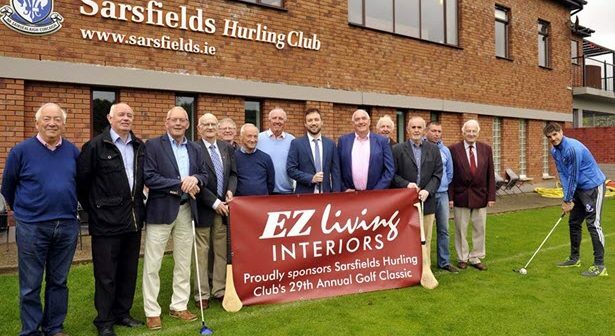 The Official launch of Sarsfields 2017 Golf Classic took place in Sars this week. Gavin White represented our Sponsor EZ Living Interiors is our main sponsor this year. Pictured here at the launch are Sarsfields Committee and Golf Society members. Also pictured is Sars Senior Captain Craig Leahy trying his hand with a different ‘club’. This year’s Classic takes place at Cork Golf Club on Wednesday 21st and Friday 23rd June.